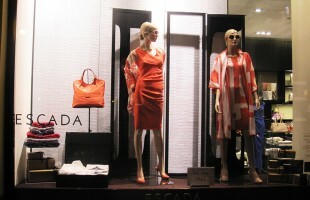 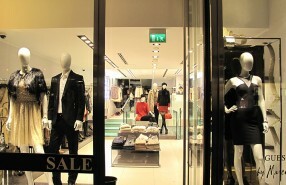 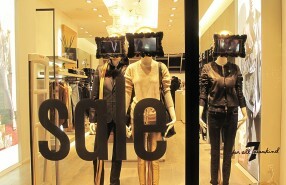 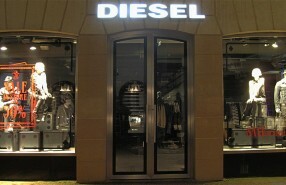 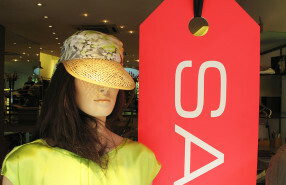 ESCADA has started with the Pre-Fall Sale in Prague. 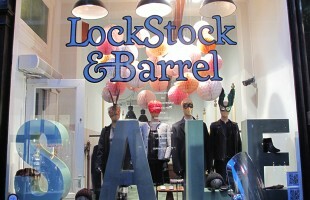 LockStock & Barrel winter sale window display is pretty clear with the big letters “SALE”. 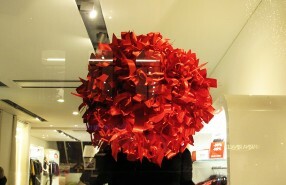 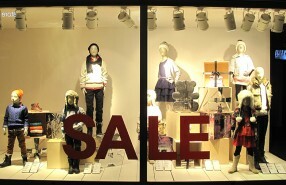 GUESS by Marciano used large golden ribbons for the Holiday Sale Window Display. 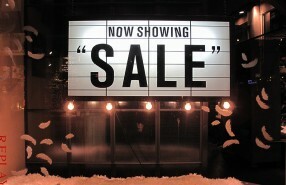 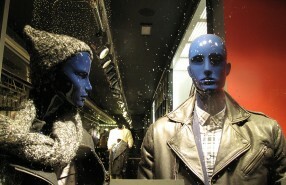 Tommy Hilfiger winter SALE window display inspired by denim and ski resorts. 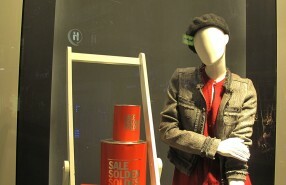 The clothing store H&M (Hennes & Mauritz) from Sweden played with wooden boxes for the kids holiday window display.